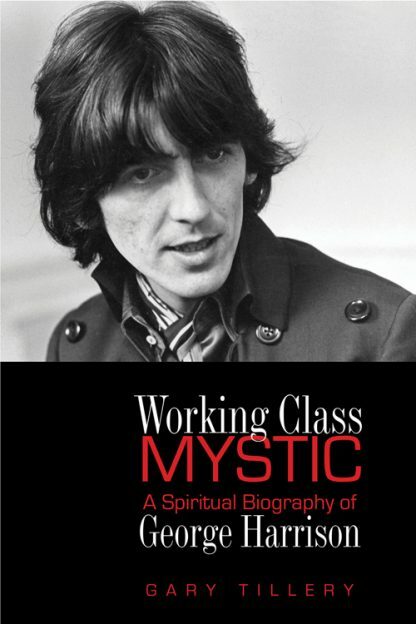 "Often referred to as the �Quiet One,� George Harrison is given full voice in Gary Tillery�s compact, yet highly enlightening Working Class Mystic<?i>. Tillery nicely summarizes Harrison�s life and music, framing the ex-Beatle�s life in terms of his life-long spiritual quest. One result of Harrison�s search, which manifested itself as the seminal benefit rock concert known as the Concert for Bangladesh, is perhaps Harrison�s greatest legacy. The sad ending of Harrison�s life at such a young age and the life-threatening experience he and his wife Olivia faced at their home by a crazed intruder are leavened with the peace Harrison felt, even in the face of death. The music, Harrison�s sense of humor and his commitment to living in the spiritual world make this book ultimately uplifting and a great read. Author Gary Tillery�s approach is warmly human, free of the fawning but insolent tone of most rock biographers. He frankly discusses the role of drugs in leading Harrison to mystical insight but emphasizes that he soon renounced psychedelics as a means to the spiritual path. It was with conscious commitment that Harrison journeyed to India, studied sitar with Ravi Shankar, practiced yoga, learned meditation from the Maharishi Mahesh Yogi, and became a devotee of Hinduism. George worked hard to subdue his own ego and to understand the truth beyond appearances. He preferred to keep a low profile, but his empathy for suffering people led him to spearhead the first rock-and-roll super event for charity. And despite his wealth and fame, he was always delighted to slip on overalls and join in manual labor on his grounds. At ease with holy men discussing the Upanishads and the Bhagavad Gita, he was ever the bloke from Liverpool whose father drove a bus, whose brothers were tradesmen, and who had worked himself as an apprentice electrician until the day destiny called. Tillery�s engaging narrative depicts Harrison as a sincere seeker who acted out of genuine care for humanity and used his celebrity to be of service in the world. Fans of all generations will treasure this book for the inspiring portrayal it gives of their beloved �quiet� Beatle.